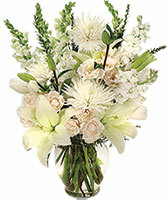 Share your most sincere expression of sympathy during a difficult time with this tasteful and elegant arrangement. 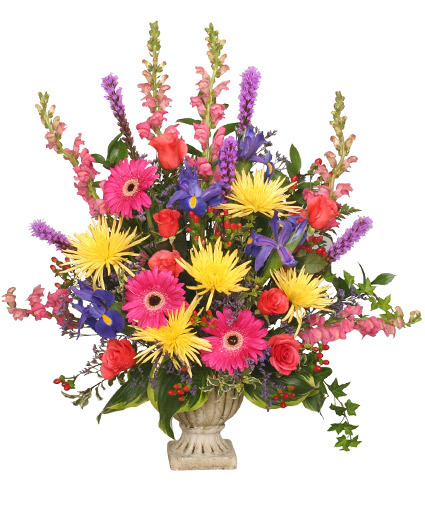 A stunning gathering of roses, liatris, Gerberas, iris and more in shades of red, yellow, pink and purple to help you convey your care and support while letting them know that brighter days are ahead. 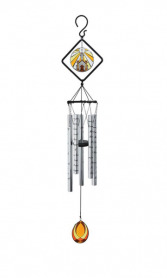 In times of sorrow and loss, finding the perfect expression of sympathy can be very difficult. 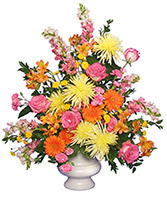 Let them know there are brighter days ahead with this arrangement full of fresh and colorful blooms. Lovely roses, snapdragons, gerberas and more offer comfort while also serving as beautiful tribute to a life well lived.